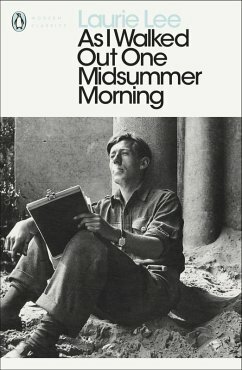 Abandoning the Cotswolds village that raised him, the young Laurie Lee walks to London. There he makes a living labouring and playing the violin. But, deciding to travel further a field and knowing only the Spanish phrase for 'Will you please give me a glass of water? ', he heads for Spain. With just a blanket to sleep under and his trusty violin, he spends a year crossing Spain, from Vigo in the north to the southern coast. Only the outbreak of the Spanish Civil War puts an end to his extraordinary peregrinations . . .